That transgender youth face higher rates of violence may seem obvious to many in the LGBTQ community. But statistics give credibility to the facts of our lives. That’s why we look to research bodies like the Centers for Disease Control and Prevention (CDC) to gather accurate and thorough data. 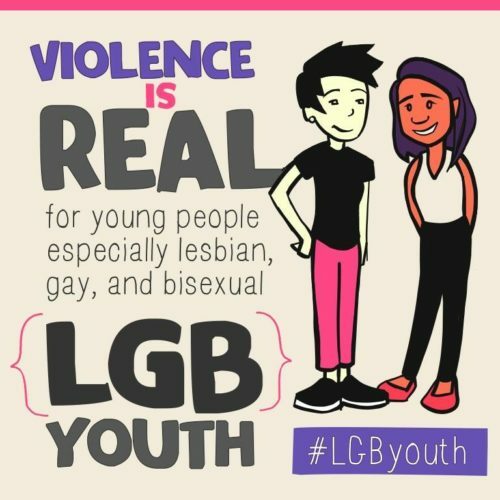 So when the CDC shared an infographic about the violence faced by “LGB” youth, many transgender people and their allies cried foul and accused the government agency of erasing the experiences of trans youth. The infographic highlights a recent CDC study that found lesbian, gay, and bisexual youth faced higher rates of bullying and harassment than their straight peers, that they are three times as likely to experience sexual assault, and that 40 percent had contemplated suicide, with nearly a third attempting it. The only statistics missing? Transgender youth. My first thoughts were that the CDC were attempting to recognize the differences between sexual minorities and gender identities. That would make sense, right? Nobody likes it when the “T” is tacked onto things that don’t address transgender issues. My optimism shifted, however, when CDC’s social media representative responded to the disapproval by saying that while transgender youth were included in the study, they didn’t have a question to capture their responses. The CDC went on to explain why crafting a functional question is harder than it sounds. I couldn’t understand why the CDC wouldn’t have just included a simple “What is your gender identity question?” Also the word “appropriate” in reference trans students was really poor wording if not blatantly transphobic. So I looked up the survey.